Peoples Democratic Party (PDP) aspirant for the Plateau State House of Assembly seat of Bokkos constituency, Hon. Vincent Arings says his aim is to uphold basic legislative principles for greater community impact if elected. His primary vision according to him is to lobby and facilitate programmes that would improve the lives of women and youths among others in the constituency. 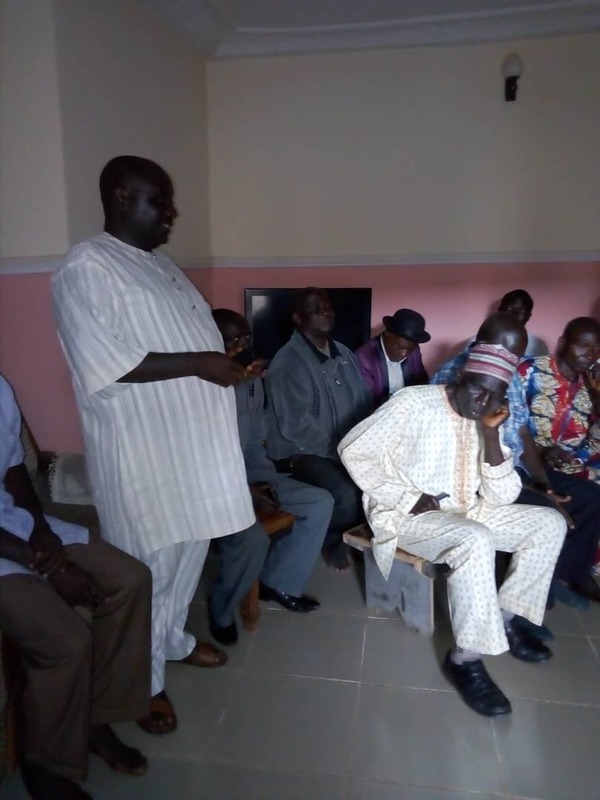 Inaugurating his campaign team at the Bokkos Local Government headquarters, weekend, Arings sought the support of development minded citizens to enable him bring his vision for the locality to reality. A representative of the party's elders at the ceremony, Hon. Moses Dongo expressed confidence in the capacity of the aspirant, charging the campaign team not to be intimidated while marketing his candidature. Leader of the team and Director General of the Arings campaign organization, Mr. James Mahanan promise to work for victory at the primary elections fixed for month end.